Diva Essenza Wrap Conversion Buckle Carrier: Menta, The One! 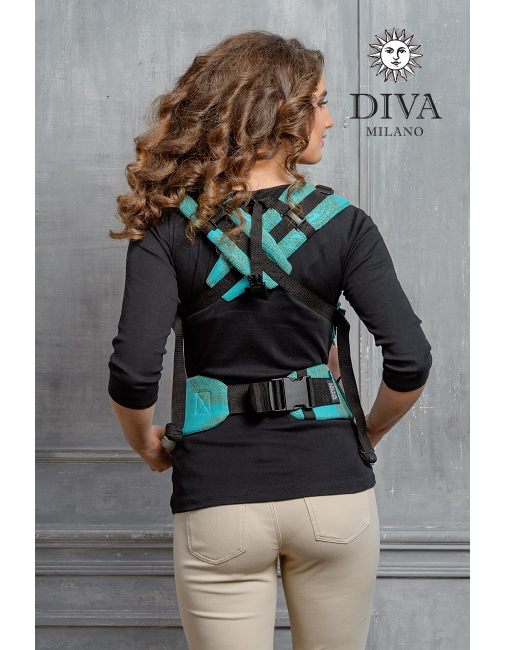 Home/BABY CARRIERS/WRAP CONVERSION CARRIERS/Full Wrap Conversions/Diva Essenza Wrap Conversion Buckle Carrier: Menta, The One! 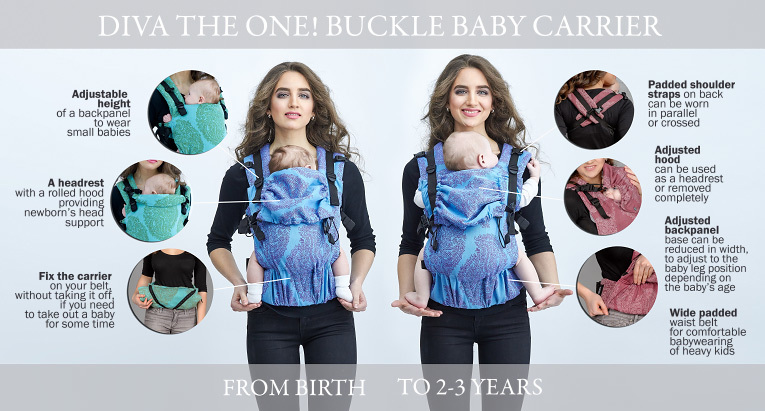 The Diva Wrap Conversion is a full buckle baby carrier that can be used from birth up to 2-3 years. 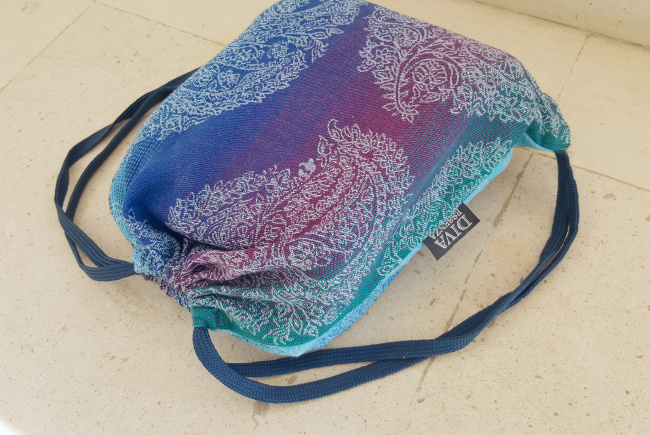 It is sewn from Diva baby wraps, and can be used for front and back positions. Simplicity and speed to put on, children can be worn on the front or on the back. 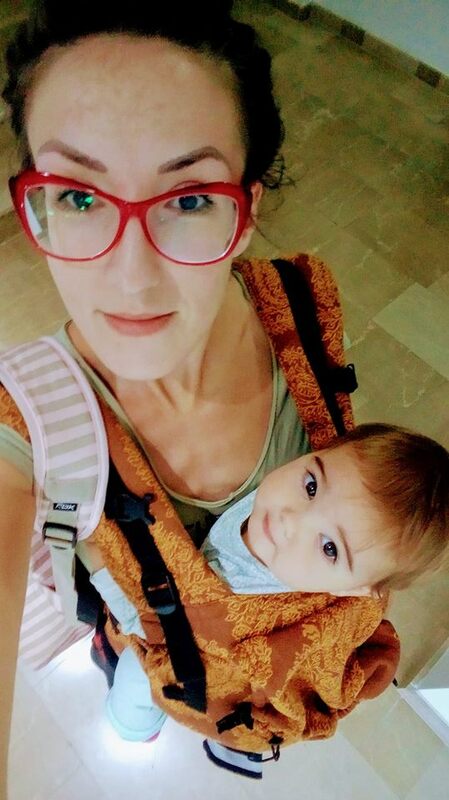 The carrier does not provide a facing-out baby position, which is not optimal for the baby, uncomfortable for the wearer and is not recommended by babywearing experts. Excellent baby spine support and correct spread-squat (‘M-shape) leg position at any age: from birth to 3 years without inserts, due to fully adjustable back panel in width and height. The ‘M-shape’ leg position with baby’s knees higher than his bottom and legs spread apart at 90° is considered the most anatomically correct for babywearing. It is most similar to baby’s position in your arms. 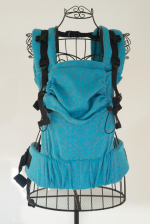 Wearer’s comfort due to wide padded shoulder straps (can be worn in parallel, like rucksack straps, or crossed) and a wide padded waist belt. 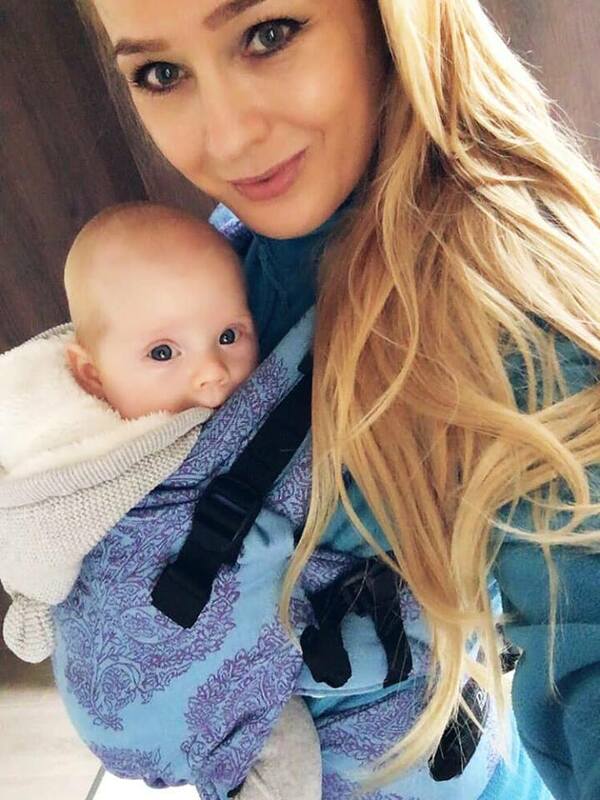 The DIVA carrier is perfect for prolonged carrying (over half an hour) due to it perfectly distributing weight across both of the wearer’s shoulders, the back and waist. 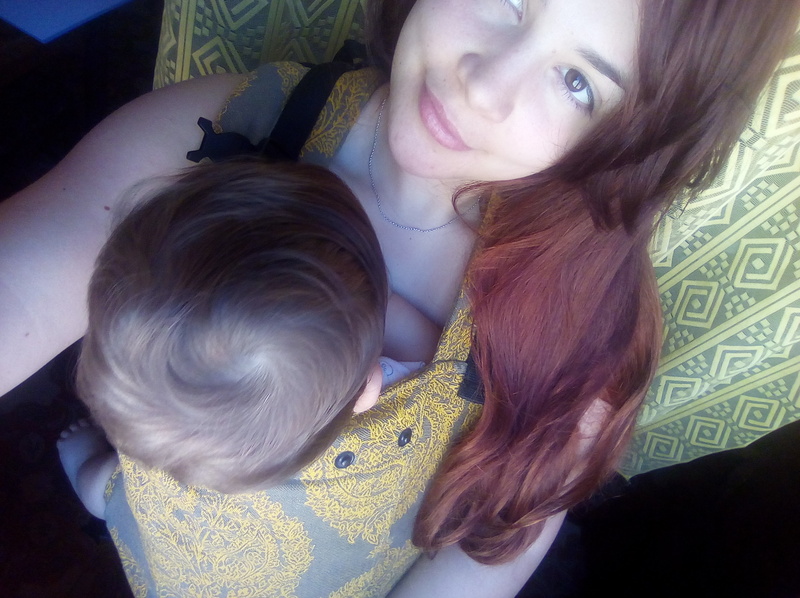 Comfort and softness for both the baby and the wearer provided by special soft, loose-woven fabric with a good bounce, initially produced as a Diva woven wrap. 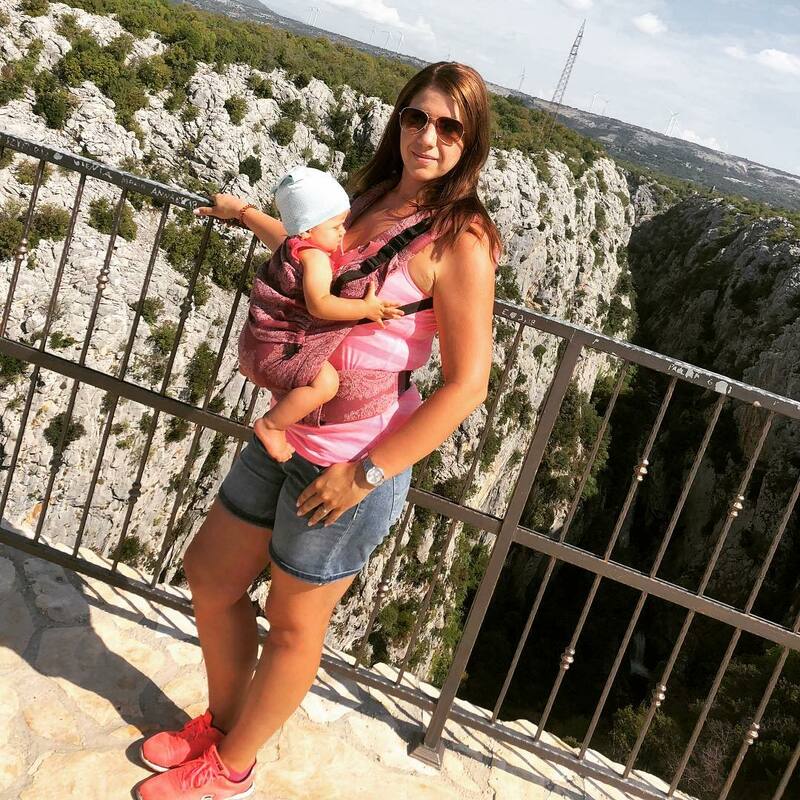 Sling fabric is specially woven for babywearing, unlike regular fabric it has a lower weave density and greater thread thickness. special straps sewn into the belt to fold the carrier and fix it on a belt when the baby is temporarily out. The carrier is packed in a backpack from a plain fabric, construction like on a photo. Designed in Italy, manufactured in Portugal. Meets ASTM International Standard F2236-14, approved January 2014. Care instructions: machine wash at gentle cycles and low temperature, do not tumble dry. Diva Milano Woven Wrap is available in sizes S (4.2m), M (4.6m) and L (5.2m). 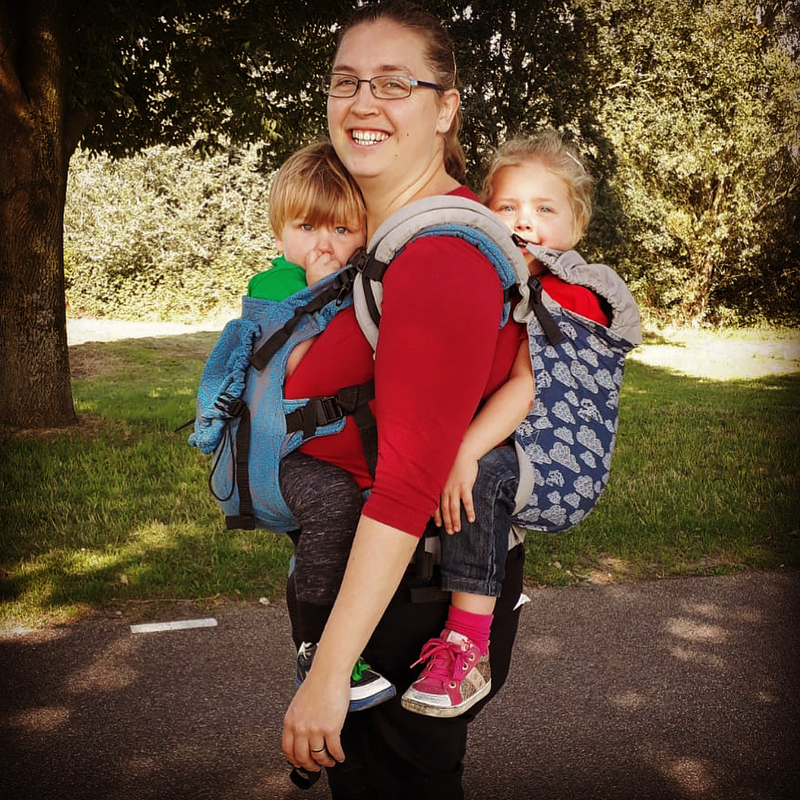 The right size will depend on your own measurements and how you prefer to carry your baby: size 4.2m is suitable for 'Kangaroo' and 'Cross Carry', and sizes 4.6m and 5.2m for the 'Wrap Cross Carry'. 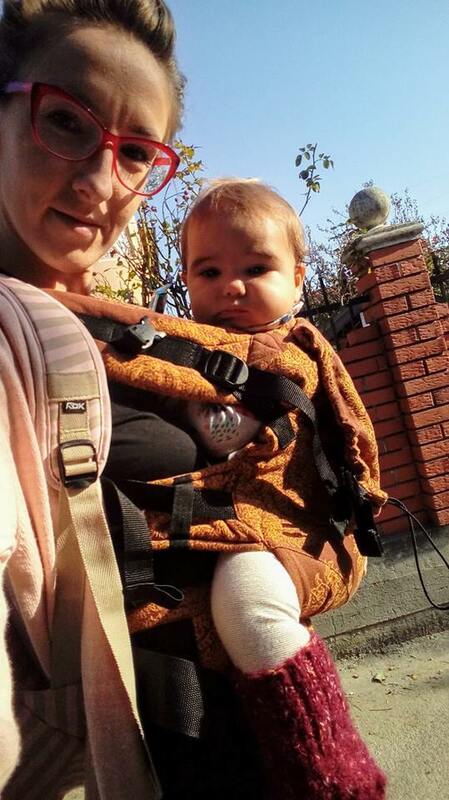 The medium-sized sling (4.6m) is generally suitable for most adults and carrying styles, the 5.2m sling might be better for larger adults and/or babies. 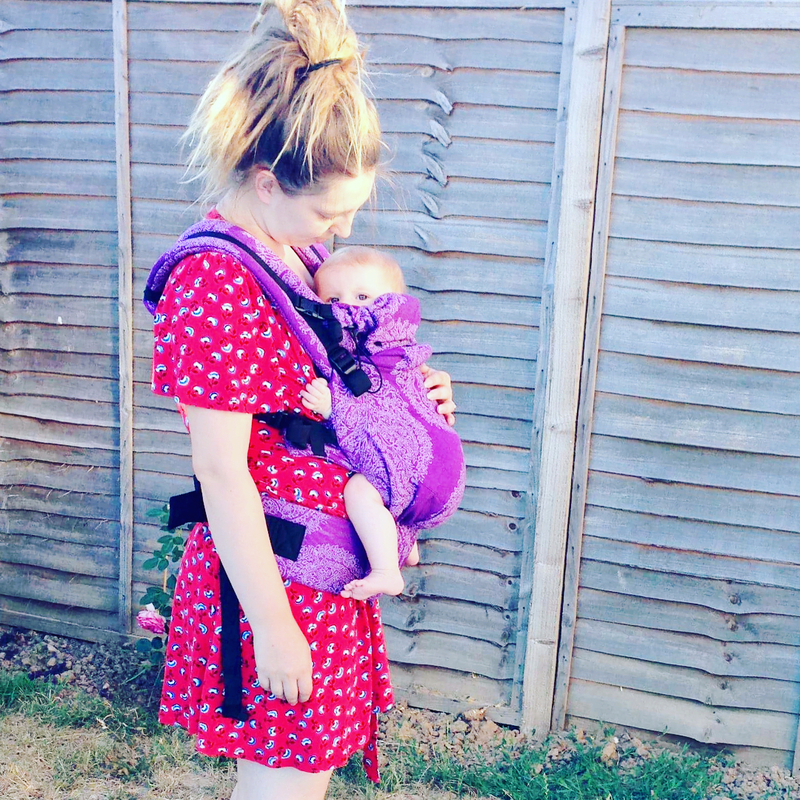 If your own body size is no more than 14 you can use Wrap Size 4.6m for all carrying methods. For body size 14 (GB) / 12 (US) we recommend Wrap Size 5.2m. Size M is 180 cm (measured along the shorter side from rings). This size is suitable for those wearing sizes up to L (app. 14 US/16 GB or 44 (F), 50 (I)). Size L is 200cm (measured along the shorter side from rings). For most models this size is produced by request. Regular mei tai dimensions are suitable for grown-ups wearing sizes up to XL (app. 16 US/18 GB or 46 (F), 52 (I)). Grown-ups with sizes L-XL will have the upper straps' knot on their back. Grown-ups with lower sizes can have a knot in front, under the baby's bum, as per our instructions. Lower straps are suitable for a waist up to 160cm. Size L can be produced by request (please contact us by e-mail info@diva-milano.com for details). One size, suitable for a waist up to 160cm. Feel free to order our products, even if you do not like the model or ordered the wrong size, you can return the product to us for refund or exchange within 14 days of receipt of your order. Please note that returned items must be in clean, unworn, unwashed and brand new condition, in its original packaging with tags attached. If you wish to exchange an item that you purchased for a different size or style, we will ship you the replacement FREE by regular mail (this is not applicable to items purchased with a promo discount, we will ask you to pay for the replacement shipping). Unfortunately we do not offer a refund for initial or return shipping. If the initial shipping was free, in case of return we will refund with a deduction of our actual shipping cost. After we receive your return, we will inspect it and provided the product is in like-new condition described above, we will make you a refund and/or send your exchange. Products purchased with a discount from "Sale" category are non-refundable. Diva Milano company is settled to provide the product of the highest possible quality. On top of inspections at the factory all products are inspected before shipping. But if by chance you receive a damaged/faulted item, we will send you a replacement or make a full refund including initial and return shipping costs, within 30 days after receipt of your purchase. Please contact us by e-mail info@diva-milano.com in case you wish to return/exchange any items you purchased for further instructions. I’m so happy to finally get this carrier! 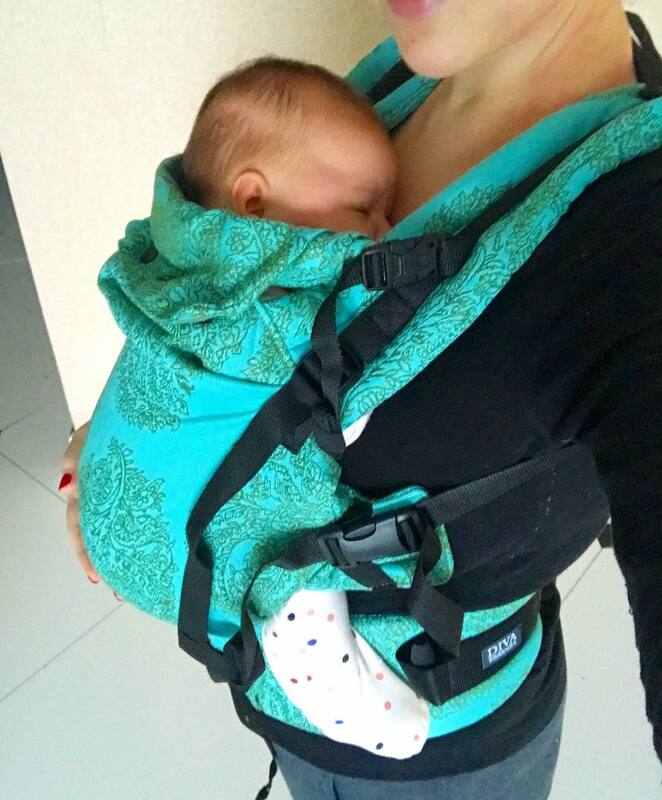 I was using wrap before, but Emma is already too heavy for it, now it’s ... bamboo material! © 2011 - 2019 Diva Milano.